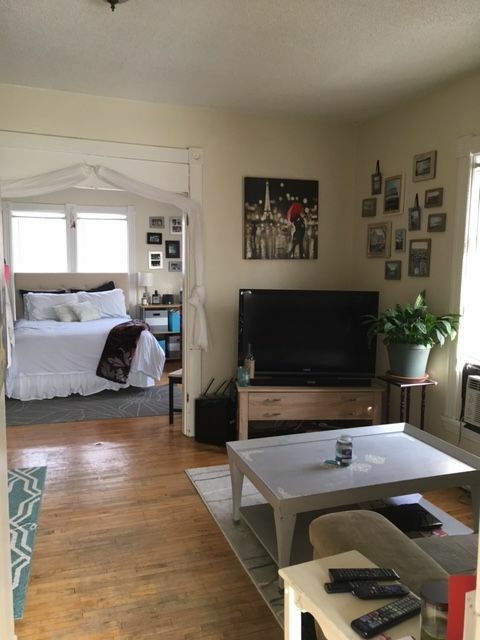 Located in a four-plex, this 1 bedroom is a gem! All utilities are paid! 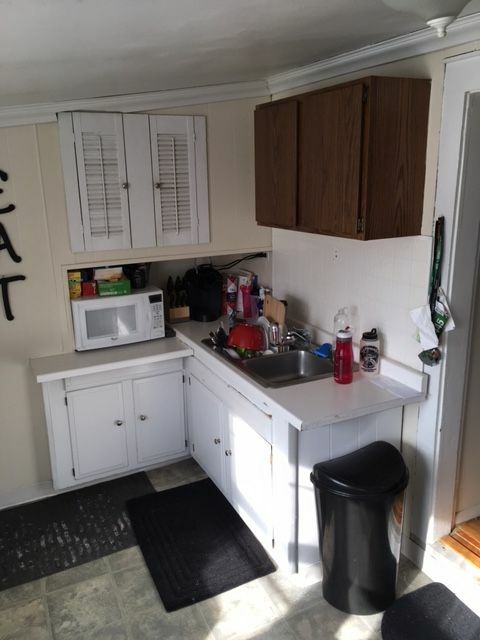 Located on the second floor this unit affords all the privacy you desire. There are hardwood floors in the living room and bedroom. In addition, the bedroom features two spacious closets. 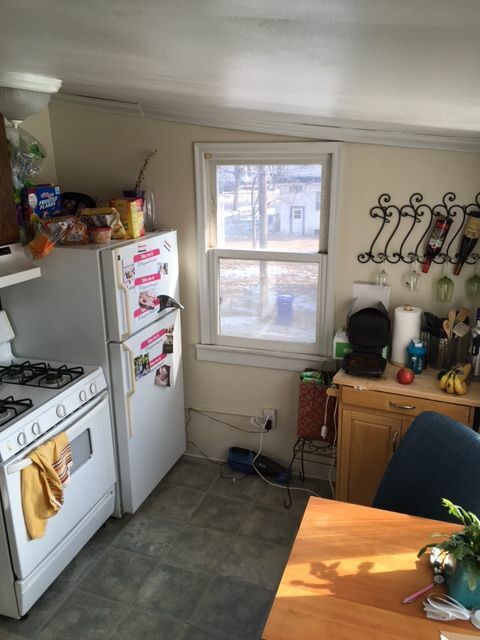 Located off the living room is the bright and sunny eat-in kitchen overlooking the backyard, complete with newer flooring and newer appliances! The deck overlooking the backyard is common space for all tenants to enjoy. There is unassigned off street parking next to the building. Although there is no laundry on the premises it is conveniently located just one block from the laundry mat. 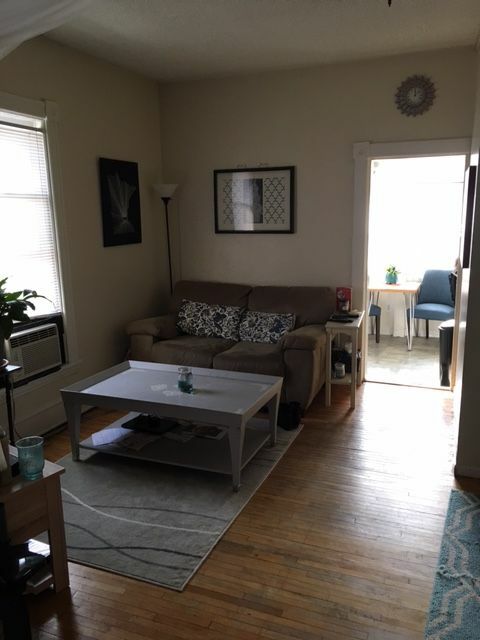 Cats are accepted with an additional $25/month pet rent. 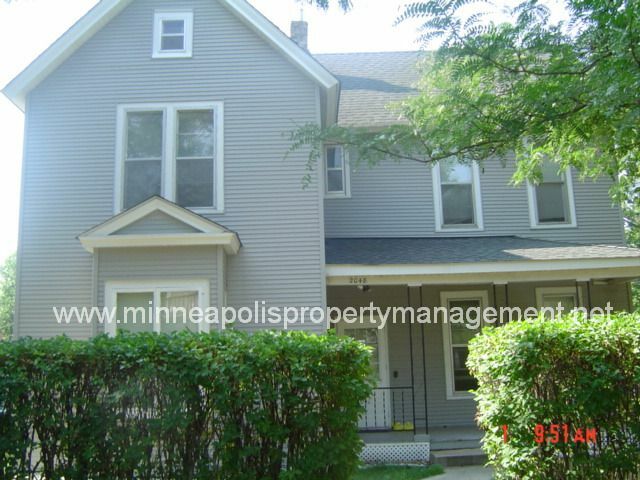 Conveniently situated between Minneapolis and St. Paul and located within easy access to local colleges, on the bus line and within a few minutes of Hwy 94. No smoking in this home. A cat is allowed with owners approval and a $25 pet rent per month. There is also a $20 pet application fee. Tenant is required to have a min $100,000 tenant liability coverage or renter's insurance or coverage will be put in place. NON-REFUNDABLE LEASE PROCESSING FEE: $75.00 due with first months rent. This home does not participate in the Section 8 Program. Don't miss.